Drag your mouse to fly over Civil War Newark. Bombarding Newark - Museum game. 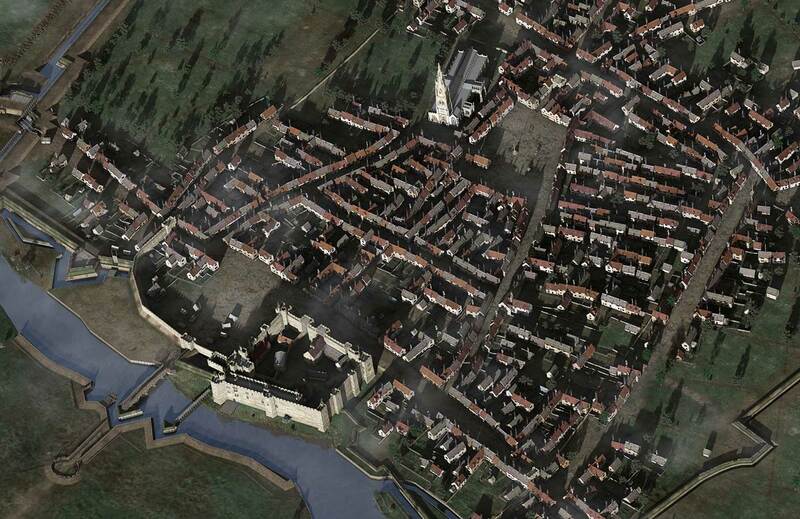 Newark's Civil War fortifications - 1646. The National Civil War Centre, Newark-on-Trent. 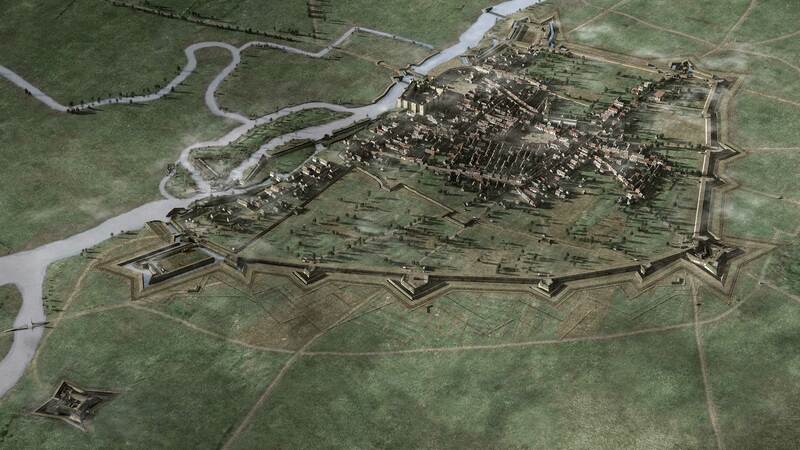 By late 1645 over two miles of defensive earthworks had been constructed around the strategically important town of Newark with its Royalist garrison of 2,500. 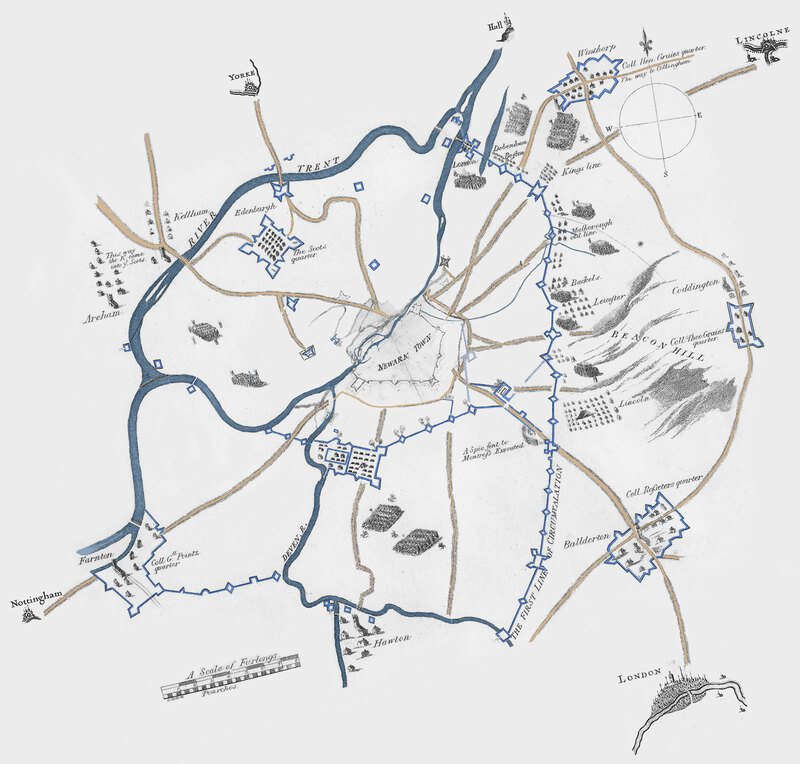 Surrounding the town was a combined Scottish and English army of 16,000 and a 14 mile ring of Parliamentarian earthworks and forts. 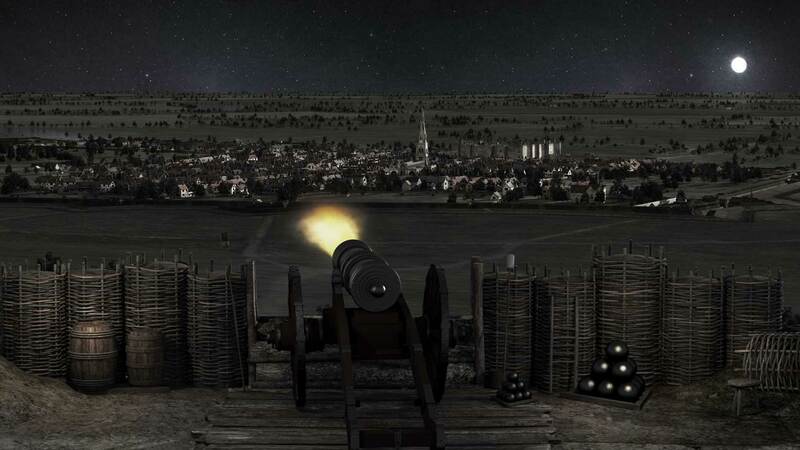 We spent several months researching and reconstructing the town and its defences as they would have appeared at the end of May 1646 when Charles I ordered Newark to surrender after a six month siege. Our reconstruction has been used by the National Civil War Centre in a Town-Trail app, an orientation hub in the museum, an interactive game and also printed out as a 7m long floor graphic for school children to explore in the education room.